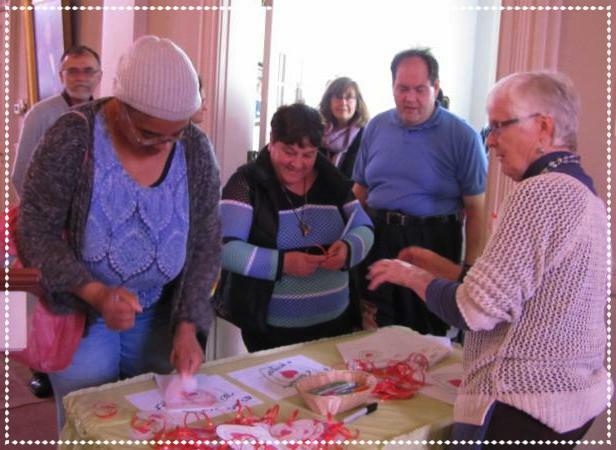 On Sunday, April 29 COTW celebrated ten years of spiritual companioning in Waltham! The afternoon included a walk down Main Street from McDonald’s (where morning hours are held every Tuesday and Wednesday) to First Parish where a Prayer Circle blessed and celebrated the ministry of Hope and Caring. Then a reception brought together people who are: housed and sleeping outdoors; volunteers and board members; past and present staff; donors and supporters. The first 10 years could not have happened without the generous gifts of our many supporters! To those individuals we are extremely grateful. We are also grateful for our monthly donors. Having the security and knowledge of gifts arriving every month ensures that Hope will continue to spread through the street of Waltham. Thank you. Together, we ensure no one has to feel they are walking alone through poverty or homelessness here in Waltham.